I love Bobbin Head because it offers great variety. It is an excellent spot for a family day trip. There is so much to do and it’d take a day to discover all that this place has to offer. The benefits of reconnecting with nature are enormous according to lots of studies. For preschool kids, I recommend the very easy and scenic Mangrove Boardwalk. The little ones will enjoy the walk, as they have to go over a suspended bridge. There are lots of mud crabs and birds, and they might even spot a snake. We saw one totally curled inside the hole of a tree! 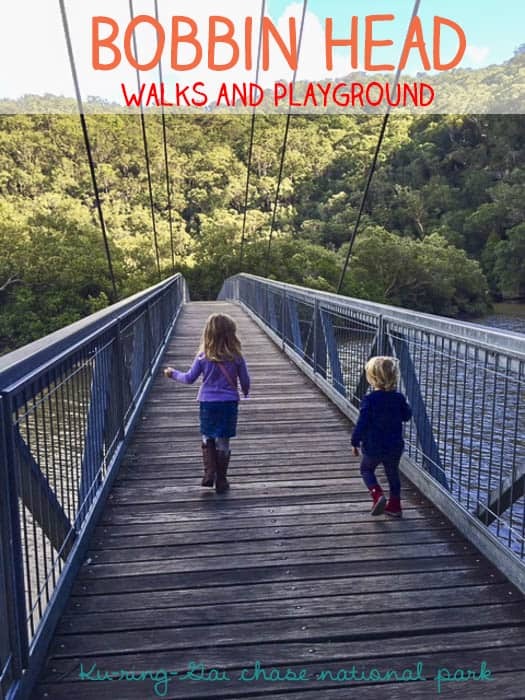 There are also other walks that you can do with older and experienced children, like the Sphinx Memorial to Bobbin Head loop track. Have a great day without spending too much. Entry is $12 (free, if you hold the National Parks Pass). Make some sandwiches, cut some refreshing fruit like watermelon, and add a treat (it could be something like a chocolate bar). We are chocoholics at home. What about you? Sometimes, I bake banana bread or pumpkin cake in the morning for our picnic. There are several spots to set up a picnic rug as well as lots of tables. After finding the right spot, you can take the children to the fenced playground. The equipment of the playground is ideal for toddlers and preschoolers; the playground area is filled with sand. If you bring buckets and spates, your young children can be entertained for a while with that too. There are no shade sails, so avoid this playground when summer is at its peak or make sure that they wear a hat. Do you need to wind down? Bobbin Café Inn situated in the historic art deco building of the Information Centre is one option. It has a quite spacious terrace and even a fireplace for the coldest months. Homemade pumpkin soup was on special when we went there in winter. A second option is Galley Foods, situated inside of the Empire Marina. Why don’t you go for lunch on Saturday and enjoy the live music? It is a luxury, without the price tag of some other water front locations. Both places offer kids meals. Bobbin Head is also a fantastic place for water activities such as fishing (you need a license), kayaking, paddle boating and canoeing. 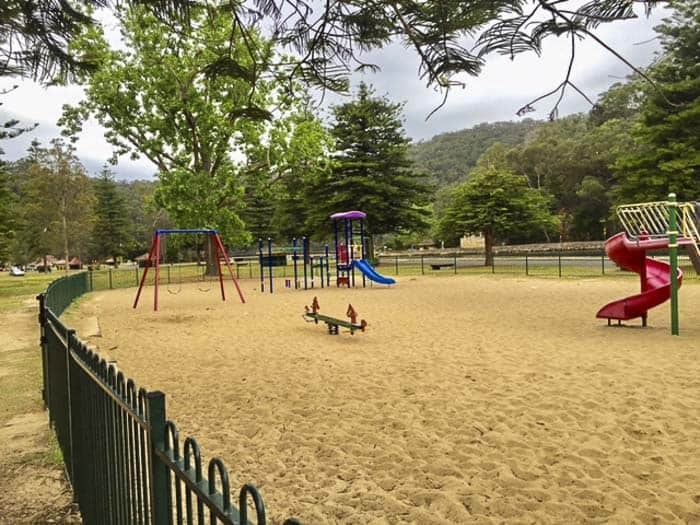 Explore Cowan Creek and Apple Tree Creek while you do some exercise. There is a public ramp behind the playground. Paddle-boards and boats can be hired at the weekends and during school holidays from the Bobbin Head Inn. The Empire Marina also has tinny boats for hiring. It has a chapter with some important advice for aquatic environments. They can be unpredictable, especially rivers. Directions: Bus route 577 follows Bobbin Head Road, but it doesn’t reach Bobbin Head. The best way to go to Bobbin Head is by car. If you use maps from iPhone, type “Orchard Park”, Mt Colah, or “Bobbin Head Marina” and select “Empire Marina”. Google Maps are more precise, see below. Take Ku-Ring-Gai Chase Rd or Bobbin Head Road. 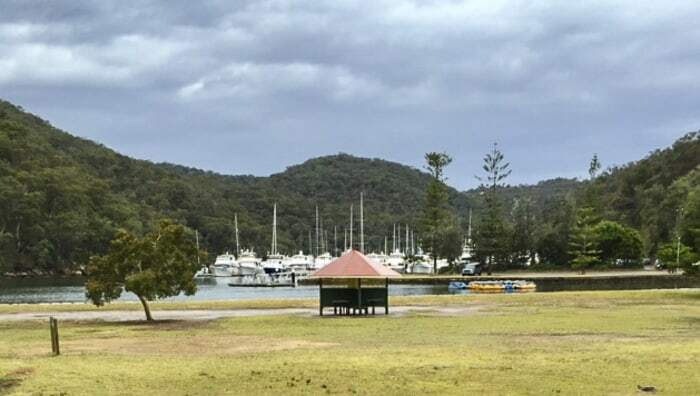 Nearby ferry: Yes, but it is a scenic river cruise, departing from Palm Beach and Patonga Beach. Information about Bobbin Head: Bobbin Head has an Information Centre, but they don’t open until 9am or 10am, depending on the day. Toilets/Baby change: Yes. Baby change in Galley Foods. Enclosed: Yes, playground is fully fenced. Extra: To extend the day, you can stop at Kalkari Discovery Centre. It is free!!! 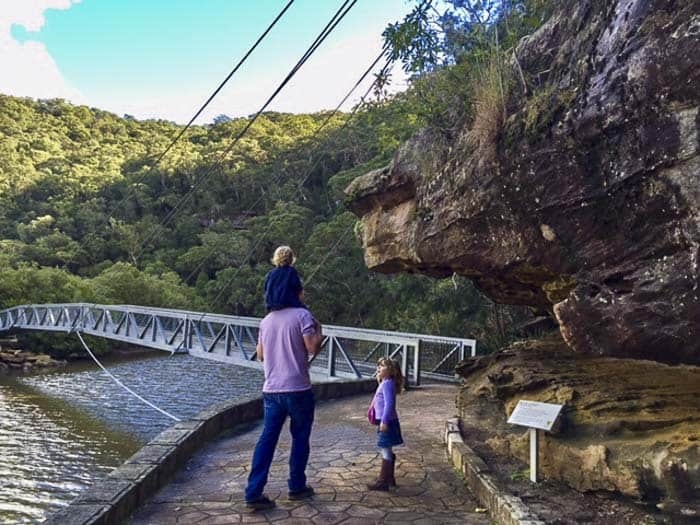 If you are a nature lover, consider buying an Annual Pass of NSW National Parks. There are different types. If you decide to bring your own BBQ, please be aware that there are only the gas ones allowed. Wood fires, solid fuel, and heat bead, charcoal stoves are not permitted. Penalties apply. BBQ’s cannot be placed on picnic tables neither close to overhanging trees/shrubs. If you want to book a table / shelter for a reunion, birthday party, meet-up, you will need to pay a booking fee. Please, call 0294728949 for further information. The Pavillion picnic shelter with waterfront views has a capacity of 100 people. There is also The Station, which has less capacity. 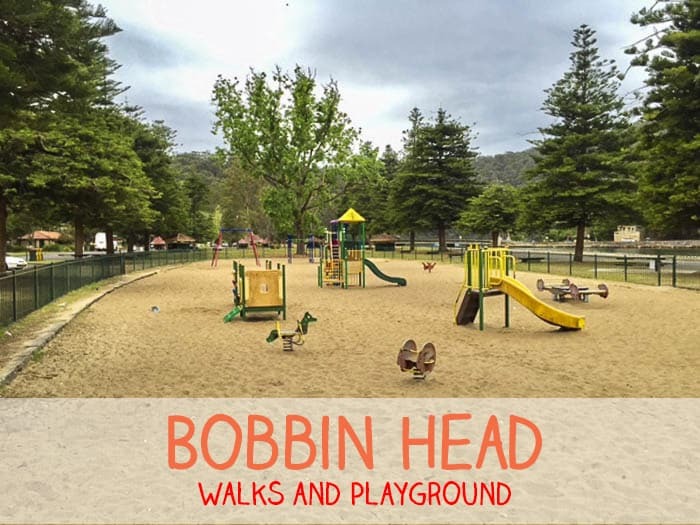 Bobbin Head is one of these places that you should keep in mind, if you have to plan a picnic with friends, a family reunion or simply a day outdoors. 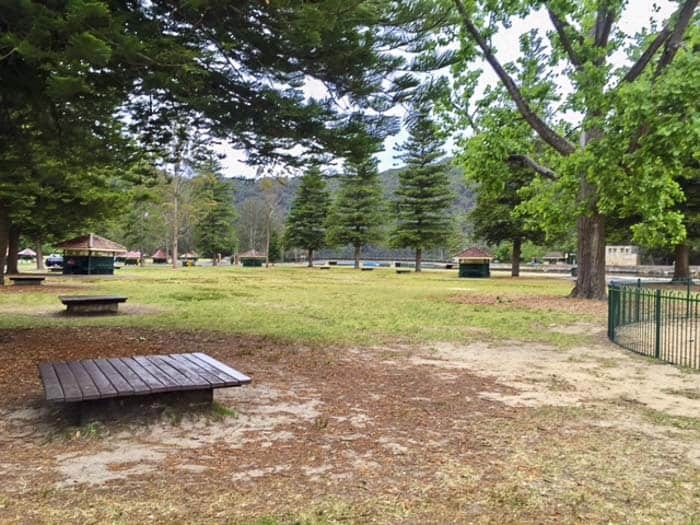 Located on the shores of the beautiful Ku-ring-gai Chase National Park, you will feel that you have escaped from the city. The best of all, it is not far away. Therefore, you will not have to hear one hundred times: “Have we arrived yet?” I am sure that you are familiar with this situation.